Many drivers have a favorite tire brand that’s perfectly suited for their vehicle. Michelin is a leading tire brand that’s become one the automotive industry’s favorite. Our customers have enjoyed Michelin tires for years and now trust us to fit their vehicle with the best model. EN-TIRE Car Care Center in Lawrence, KS is experienced with all sizes and types of tires, especially Michelin. Find out why Michelin may be the right tire option for you. Our team of qualified tire experts will consider your vehicle’s purpose, your driving habits, and conditions in which you’ll be driving when choosing your Michelin tires. We have tire models for all occasions and all seasons. You need to know that your vehicle is equipped with the right tires. Michelin tires make every road trip safe and comfortable. Whether your vehicle needs to hug the city streets a little tighter, or you’re taking your SUV off-road, our Michelin tires will prove durable and efficient. 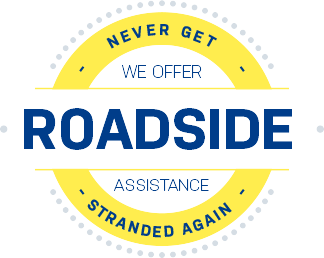 Vehicle owners who know which tires they’re looking for come to EN-TIRE Car Care Center first! Owners who aren’t sure what they need will make unnecessary stops at inexperienced tire shops. While they focus on making sales, we focus on your enhanced driving experience. Michelin tires are a top brand that we offer customers. Give us a call today at 785-842-5500 with any questions or concerns.